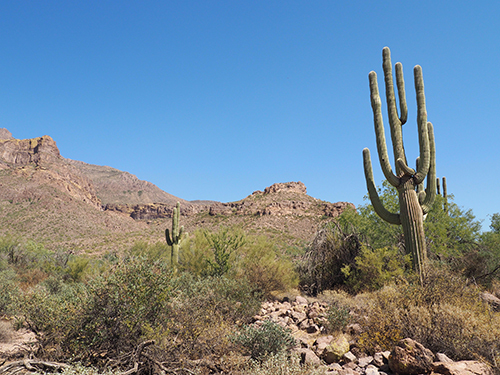 As I mentioned in my last post, I recently went to Phoenix, Arizona. Arizona is home to my favourite football team and it's been my dream for years to visit and attend a game -- a dream that finally became a reality a few weeks ago! 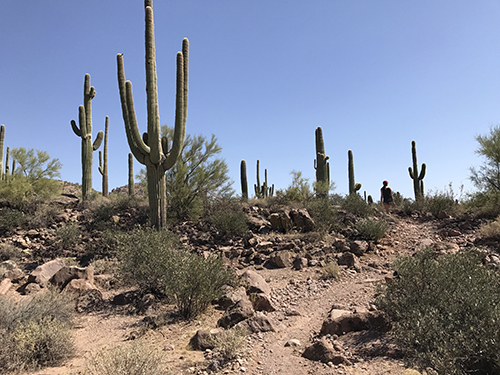 My first visit to the desert began with full immersion on the Lost Goldmine Trail where we trekked through fields of cacti and admired views of the Superstition Mountains. 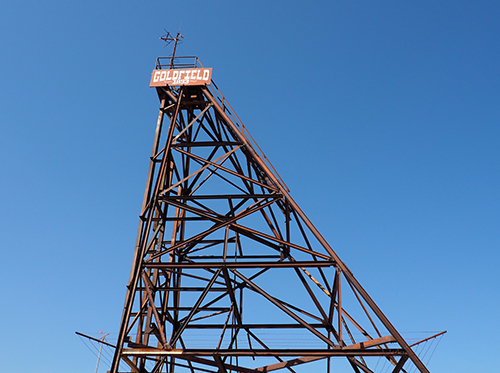 Located nearby is the Goldfield Ghost Town, an abandoned mining town that has been reconstructed into a tourist attraction. 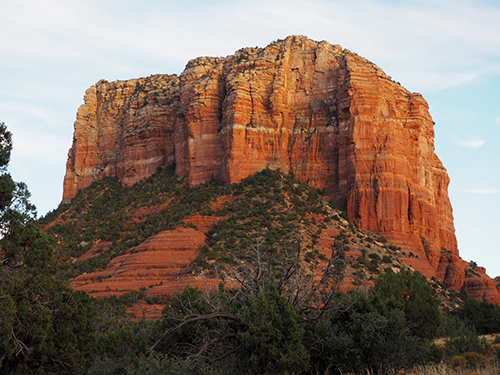 Just a short road trip away from Phoenix is Sedona, a.k.a. 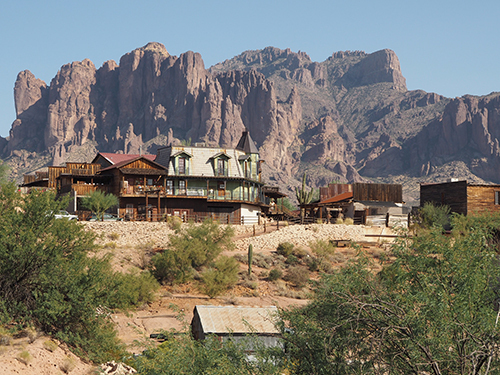 red rock country. 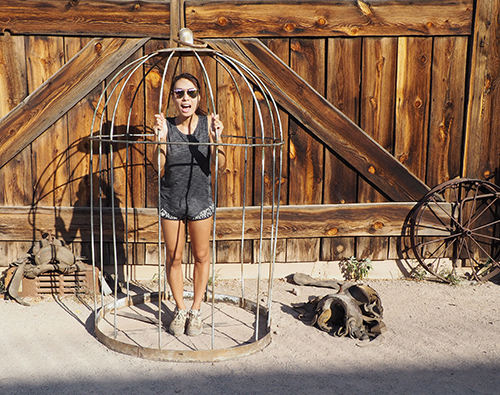 This was definitely one of the highlights of our vacation... it was so beautiful. 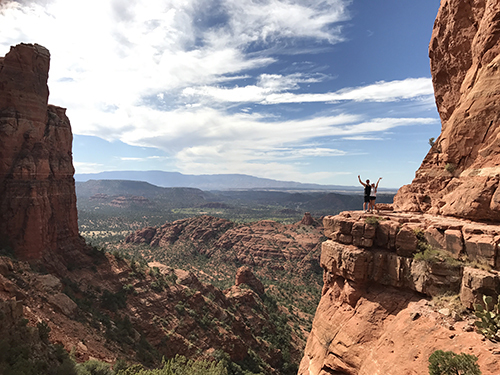 We started out with a hike up Cathedral Rock, one of the scariest hikes I've ever done (you're basically climbing straight up rock faces). Despite the anxiety it caused me, this hike was well worth it for the views. 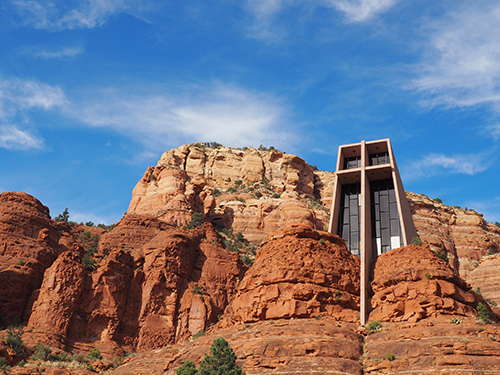 We also explored some of the other sights in Sedona like the Chapel of the Holy Cross and took in the stunning red sandstone formations, which were visible almost every way we turned. Then, of course, there were the sports. 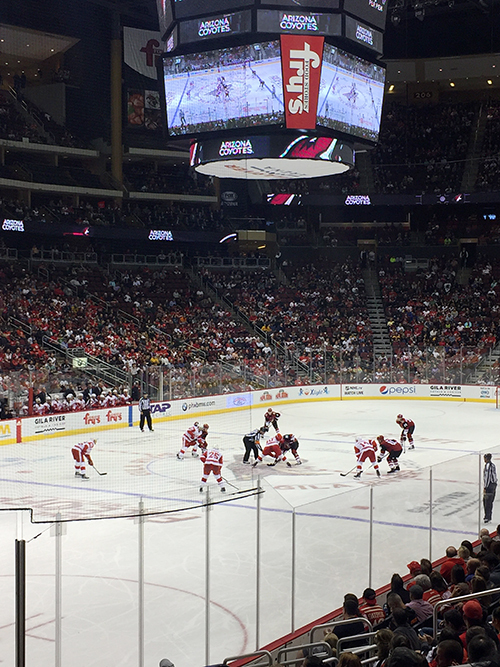 Hockey games are ridiculously cheap in Arizona so we were able to get some great lower bowl seats to see Arizona Coyotes vs. Detroit Red Wings for only $25 each. These same tickets would cost an insane amount at a Vancouver Canucks game back home. I was most looking forward to Football Sunday, however. 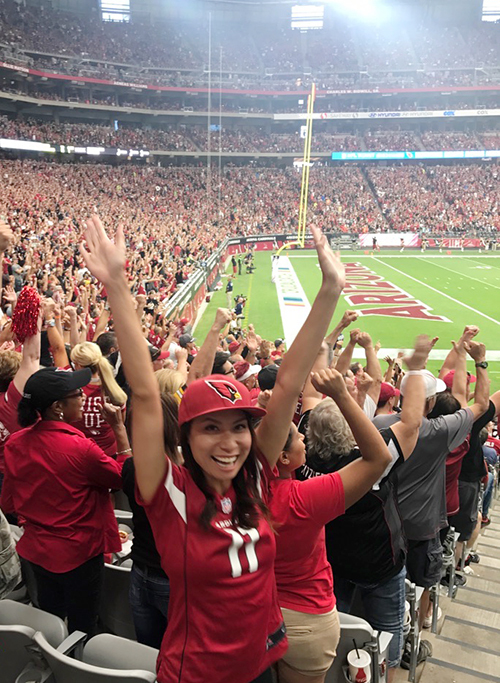 I had so much fun cheering on the Arizona Cardinals as they beat the Tampa Bay Buccaneers. 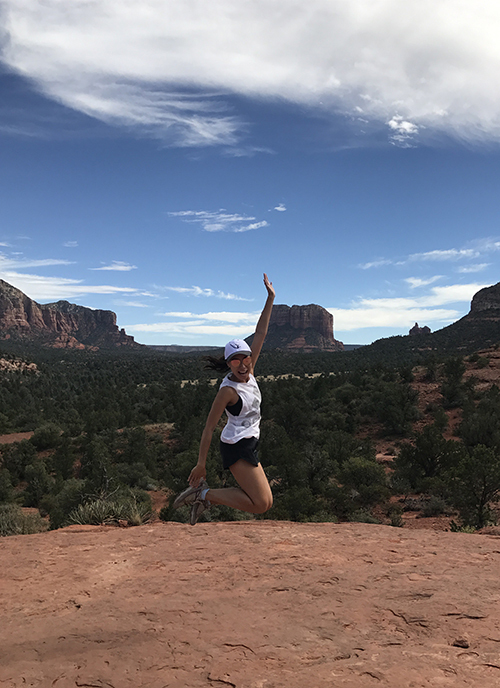 Phoenix is such a reasonable flight from Vancouver (both time- and cost-wise), my fiance and I both can't wait to go back again. It was especially nice to get some respite from the rain... gotta get that vitamin D!